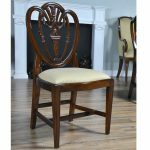 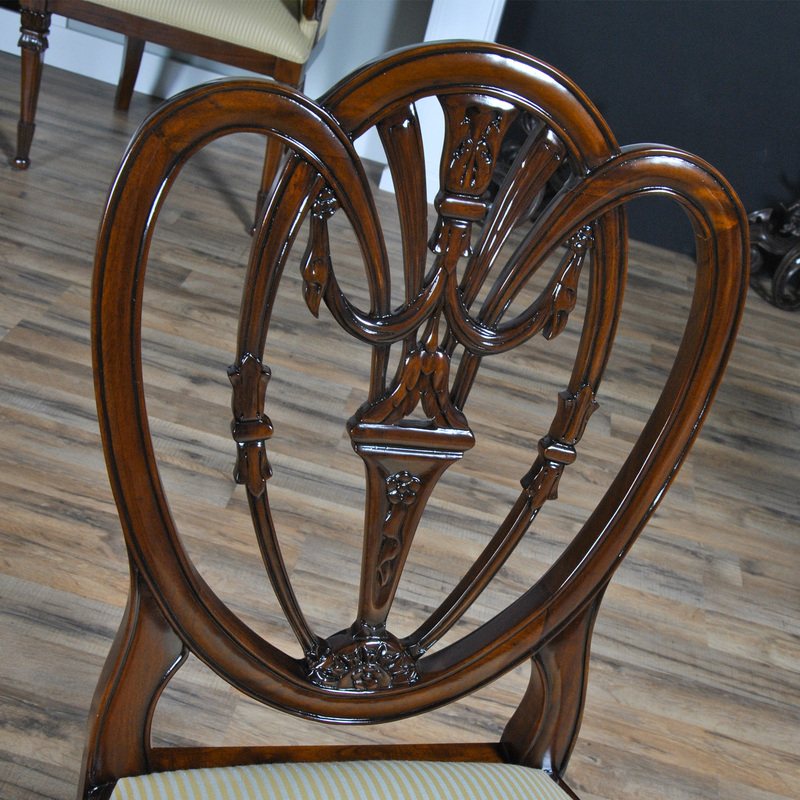 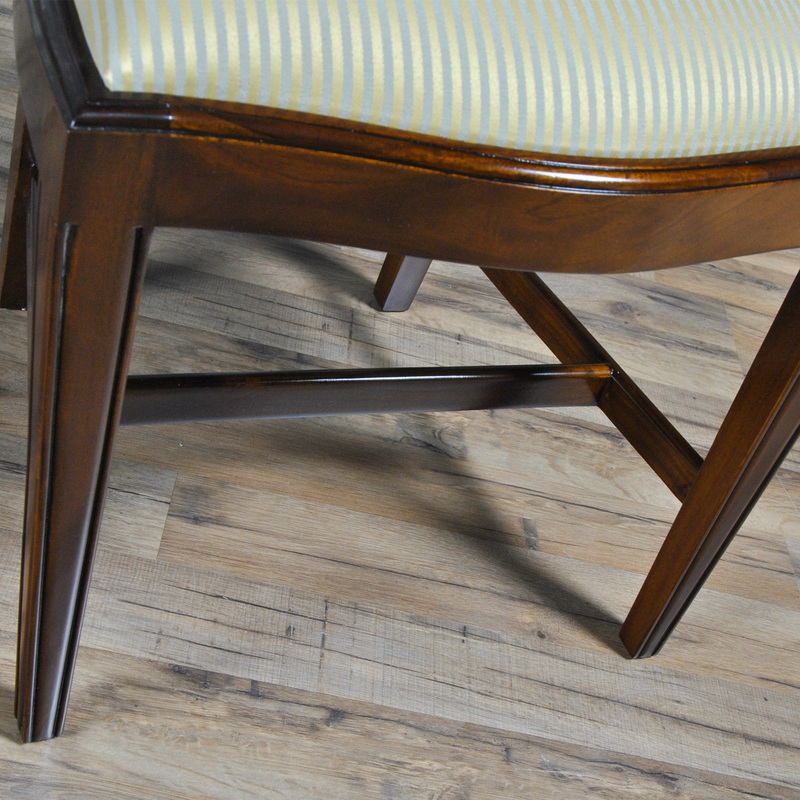 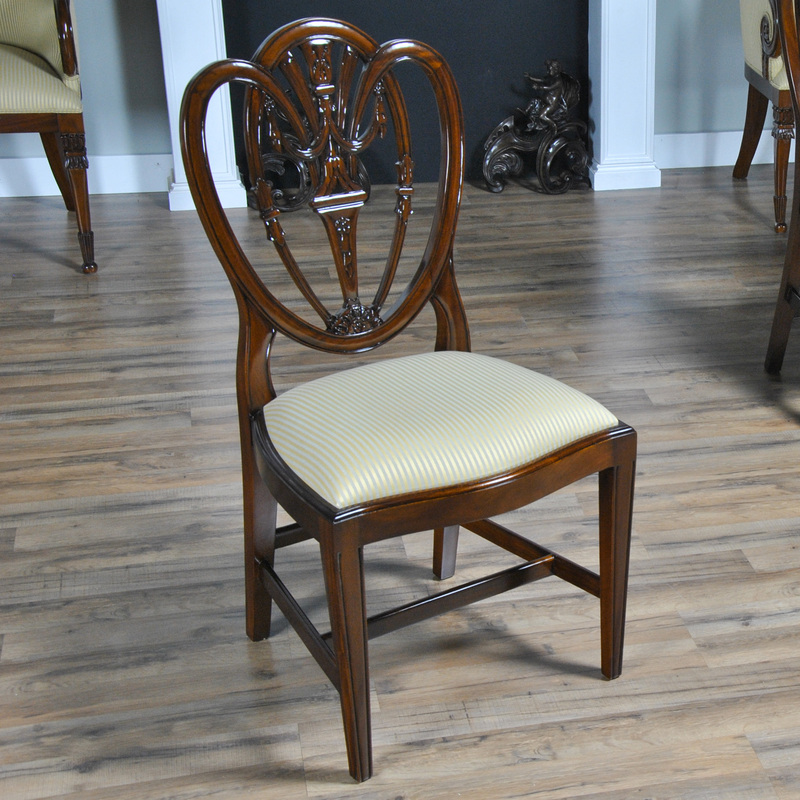 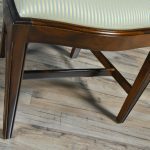 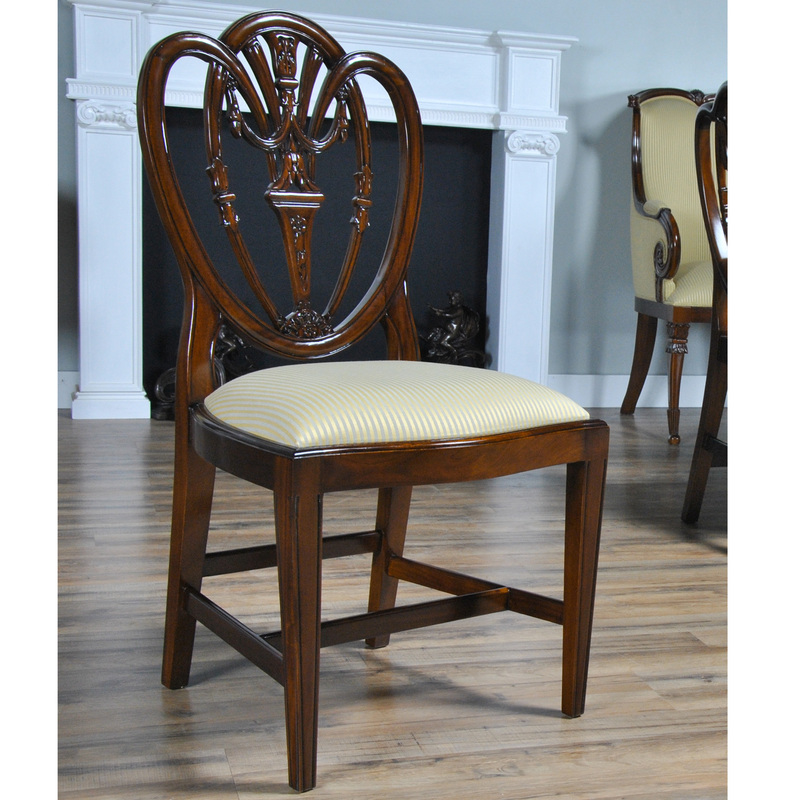 The Niagara Furniture Carved Shield Back Side Chair has all of the hallmarks of timeless design. 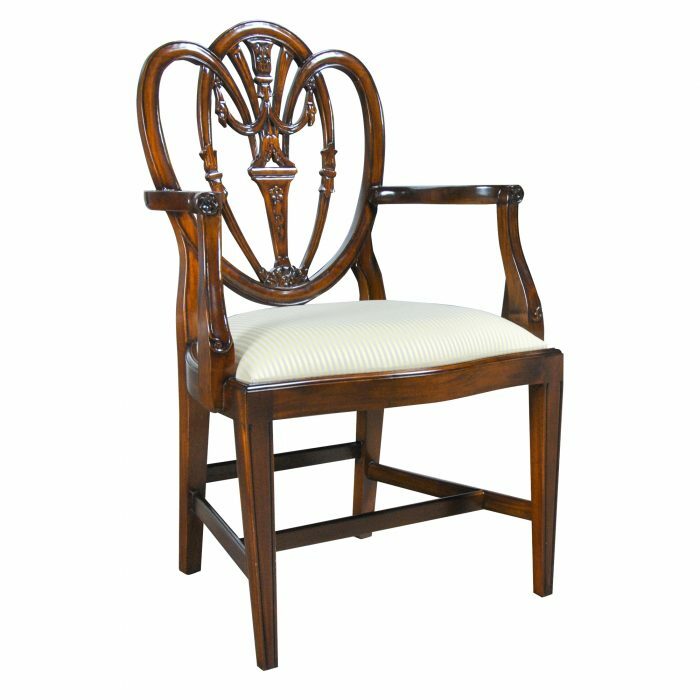 Slightly larger and heavier than some of our other shield back chairs this item is also as pretty as any chair we manufacture. 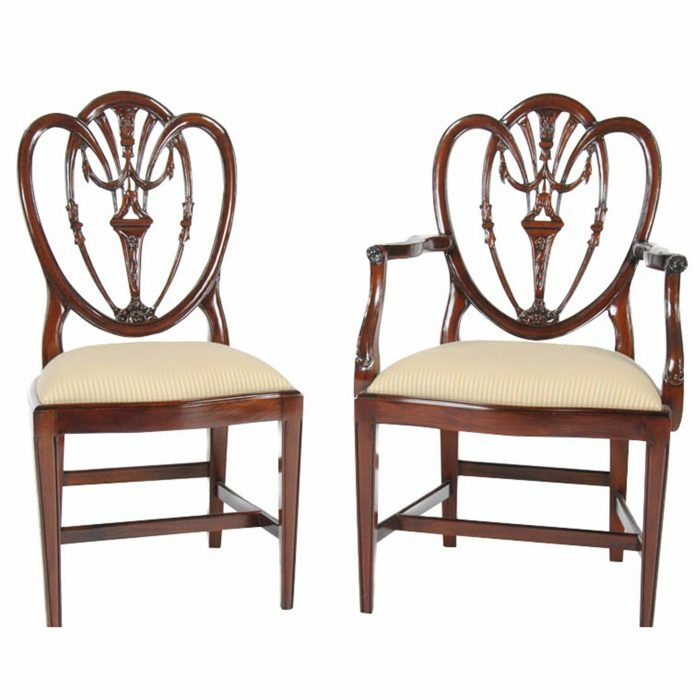 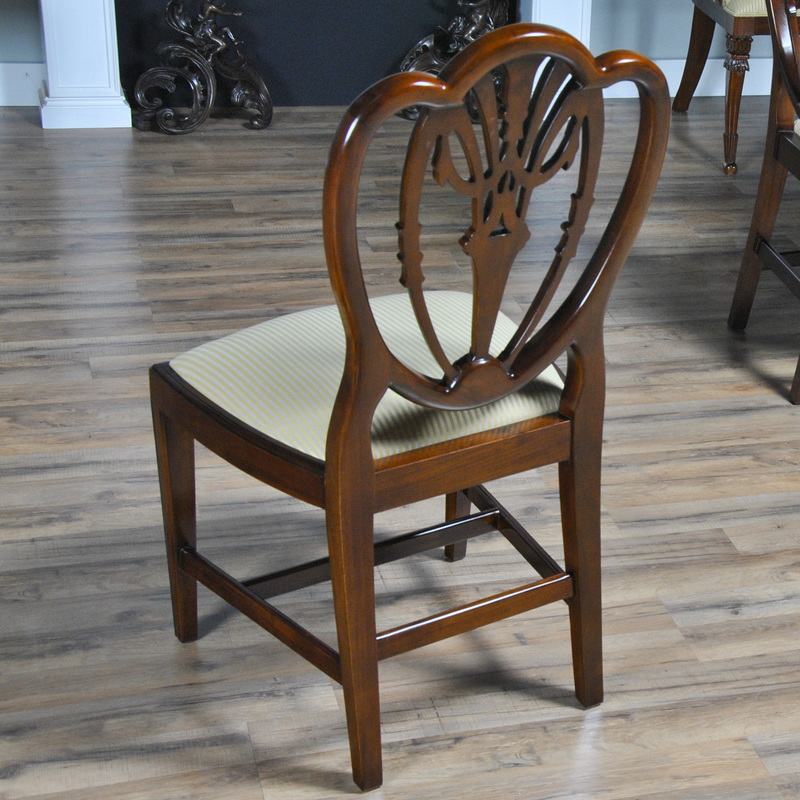 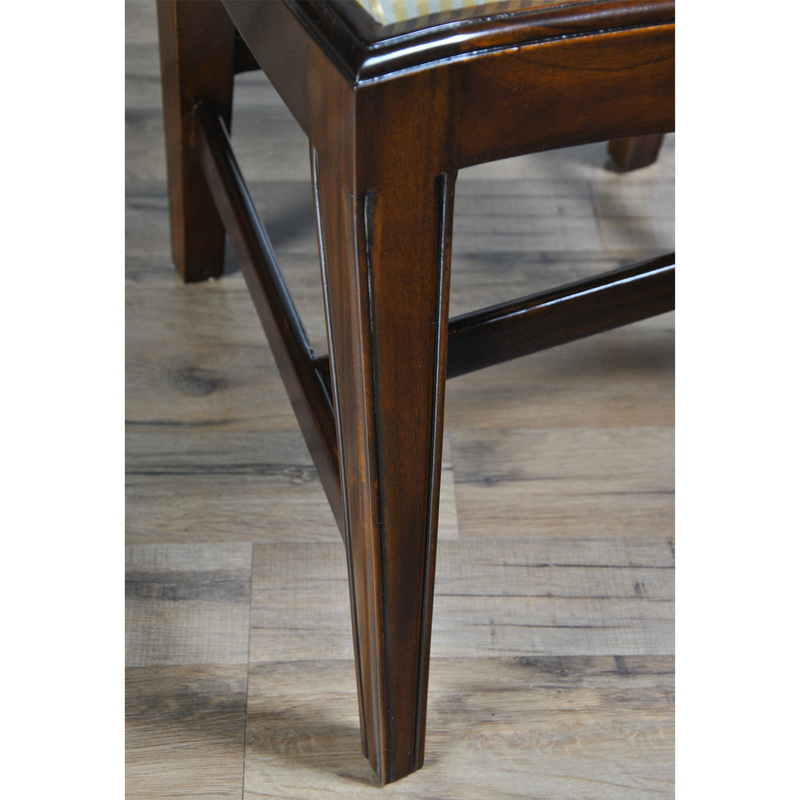 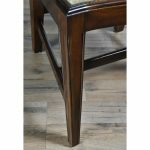 The beautifully decorated back rises above tapered reeded legs on the front of the chair which are connected with cross stretchers to the rear legs for extra stability and longevity. 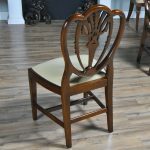 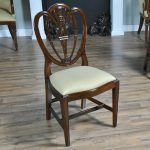 Produced using only kiln dried, plantation grown solid mahogany our Carved Shield Back Side Chair will not only last a life time but they are also produced in a sustainable fashion which will allow the regrowth of the forests from where it came. 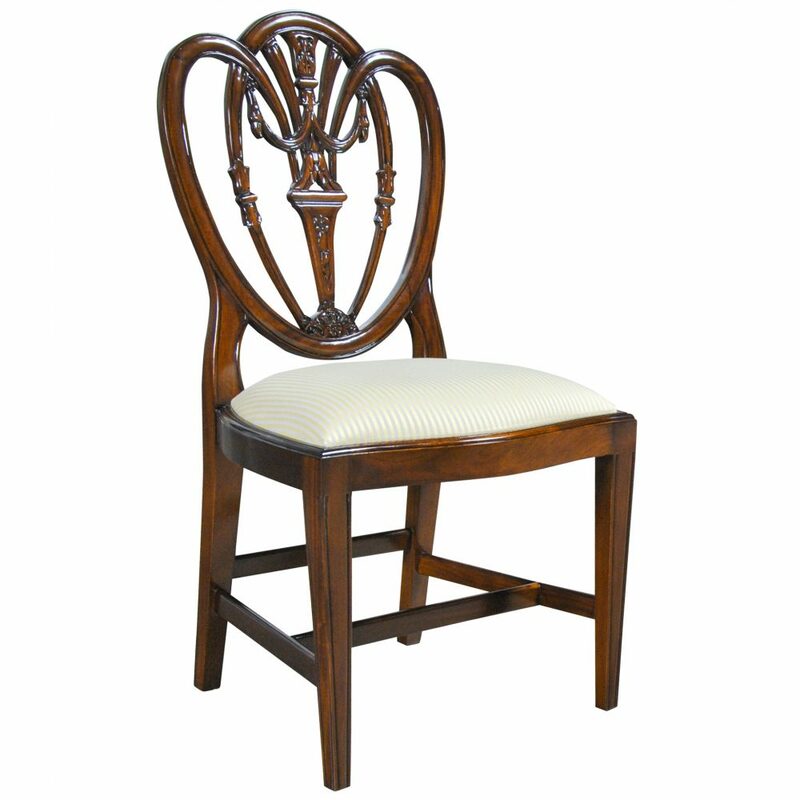 Seat height approximately 20.5 inches.